It’s important to get enough protein in your diet. Protein is satiating and helps to maintain and build muscle mass. It raises your metabolic rate and feeds muscle for growth. So eat up, ya’ll, it does a body good! This Peanut Butter & Banana Protein Smoothie is a great way to get a protein boost to start your day. I shoot for 20-30g per meal of good quality protein. One of my favorite ways to get more protein in my day is to make protein shakes and smoothies. They are tasty, quick to prepare and filling. 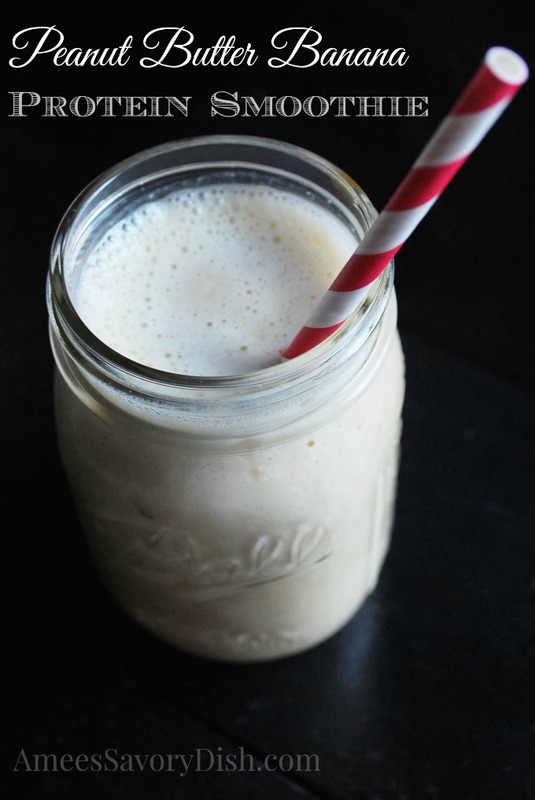 Protein shakes, like this PB & Banana Smoothie, are great for post-workout recovery. This shake has 30 grams of muscle-building protein! I used Silk ® Unsweetened Organic Soy Milk (with 8g plant-based protein from non-GMO soybeans per serving) in this smoothie, along with unflavored protein powder and powder peanut butter, so you get the protein and peanut butter taste with less fat. You can visit Silk’s website for a coupon towards your next Silk purchase. 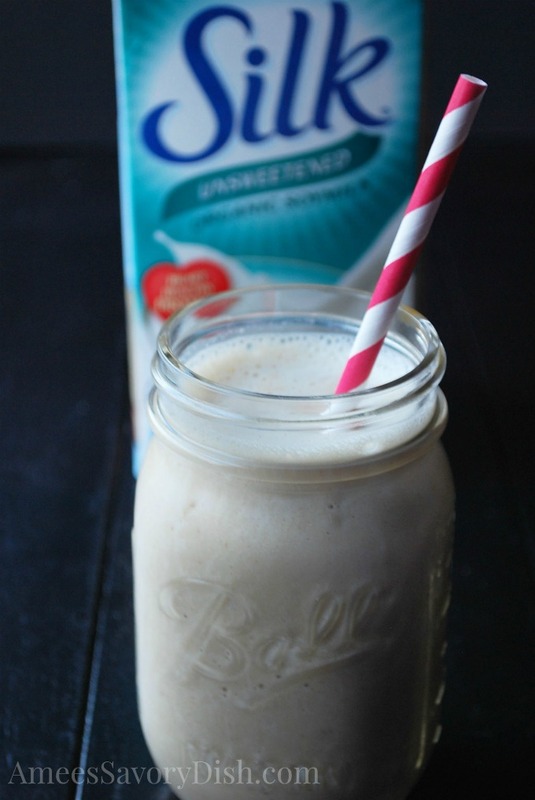 If you whip up this Peanut Butter Banana Smoothie, let me know what you think! Where do you buy your unflavored protein powder?! Looks delish, but then I am a sucker for anything with peanut butter. 😀 Hope you have a great Easter!